With happy thoughts, I'm going to dye one of my Easter eggs in the colours of Iraq's flag!!! 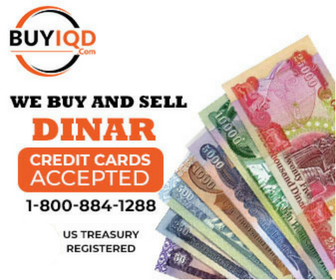 So either a rise in the value of the Dinar or a flat out RV that we've been all waiting for. Win win either way. Thanks. With the passing (when it happens) of the Management Law, does this mean RV or that we're that much closer? Having problems figuring the law out. Building, rebuilding, repairing, onward and upward..........everything but my bank account. "Delete zeros from the Iraqi dinar" If we had access to the details of this symposium, we might finally understand what they're thinking of doing. Zeros off the notes or off the rate. Now we will have 6 committees not able to agree on issues. And that's when they decide to show up and work. Unless they pay in Dollars from the auction. I know that doesn't help us but it does mean we are not too screwed. Just have to wait longer. Do you have the new crisp RTGS dollars or does that even matter? Don't forget that much of today's money is digital. Lets say you have a million Dollars in your bank account. Do you actually have that amount sitting in the vault? No, it's all on paper. Placed there by a few swipes on the keyboard. In fact very little money is exchanged these days. Buy a house, car, or boat, usually a check. Pay bills on line or over the phone, most likely credit card or electronic check. With these thoughts, lets say you walk into the bank with a million Dinar to exchange. Do they give you a million Dollars? No, they credit your account. It's there and it's not. Not an expert just my thoughts. They might consider an RV if they got a taste of their own "worthless" medicine. The World Bank should pay them in Dinars. All this news is just plain teasing us. I was beginning to give up on January as a potential RV month. I'm now beginning to rethink that. Fingers crossed.